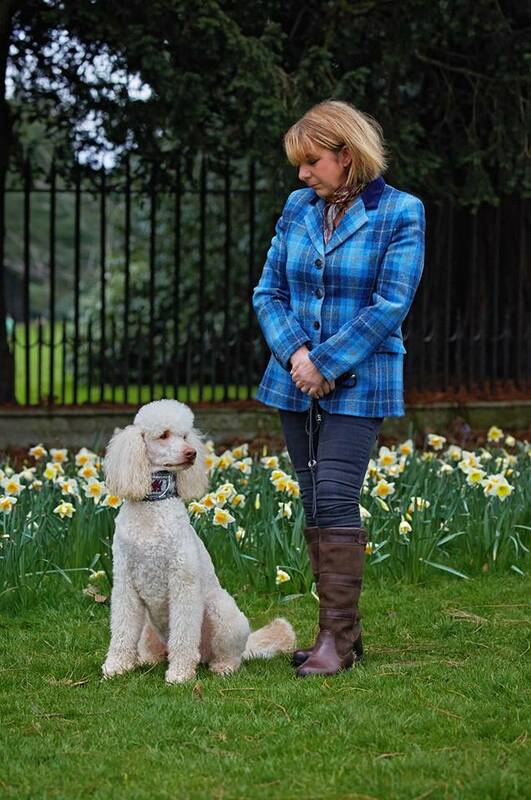 My name is Jane Edna Riley [Murphy]and welcome to my Argentcymru Standard Poodles Website. Argentcymru standard poodles is the home of health tested, confident, socialised family companions, that live alongside myself, my partner Roger ( a lawyer) and my three sons, Bobby, Billy and Joel, our black lab Roxy, our goldendoodle Sandy and our labradoodle Missy and YES...WE LOVE CROSS BREEDS TOO. 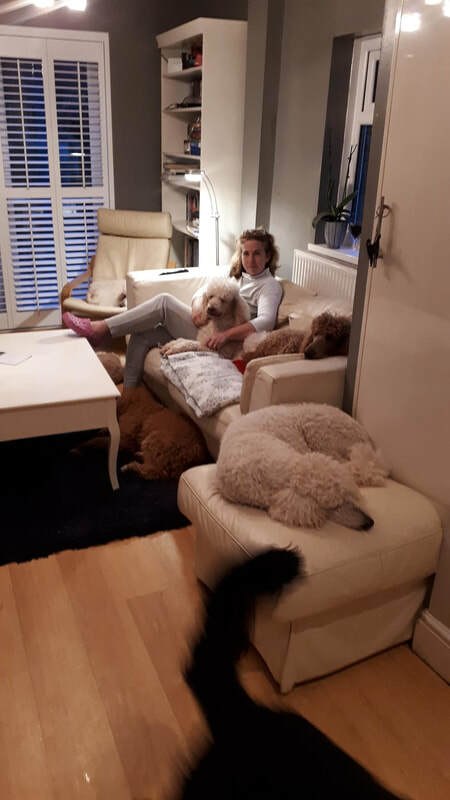 WE DO NOT HAVE KENNELS, our beloved companions live in the home and come to bed with us at night...it can be a case of "hop, skip and jump" whilst trying to negotiate the night time en-suite...but it is the way we like to live and would not have it any other way. 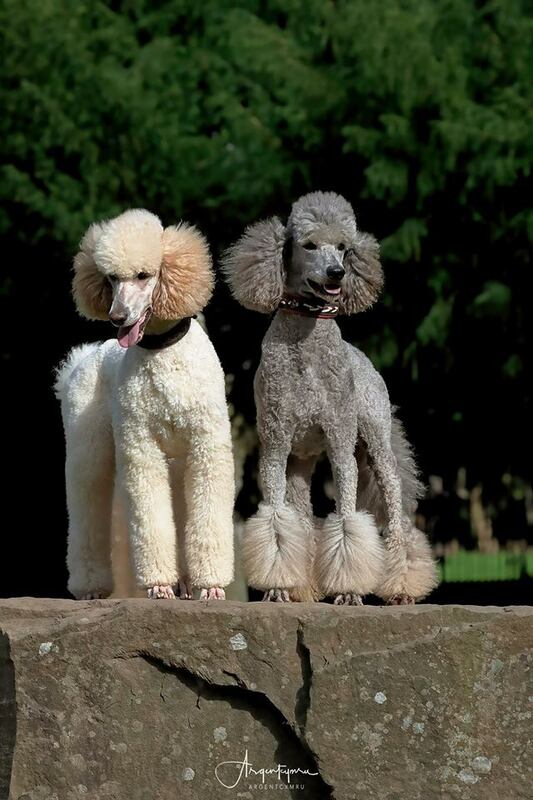 We pride ourselves and with such wonderful standard poodles, that not only have wonderful temperaments and sweet personalities, but have calm, but playful dispositions, which is passed down to their offspring. 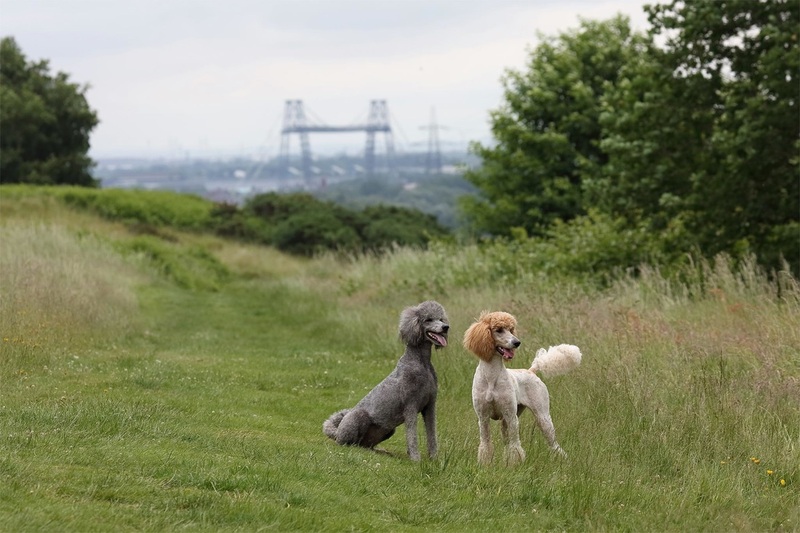 As you will see whilst browsing through my website, Argentcymru Standard Poodles love being outdoors, in all weather, all year round. They are active dogs and like to chase after the ball, or Frisbee or anything else they can retrieve. This is one of their many appealing traits. The Standard Poodle is by no means a couch potato. 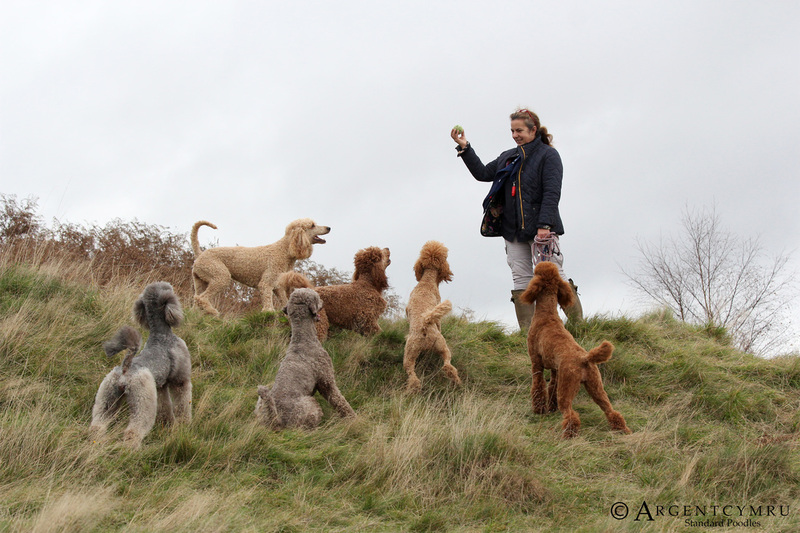 Poodles are retrievers or gun dogs and are still used in that role today, hence their love of retrieving the ball. They are thinking dogs who learn quickly. This intelligent breed cannot be ignored and left to be just content to use their back garden or lead walked. They thrive on agility, obedience and hide and seek games. 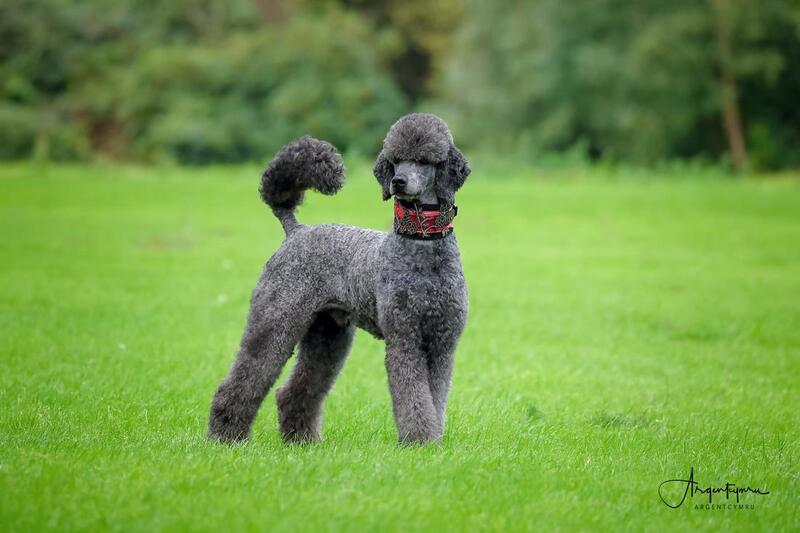 The poodle has a coat that need maintaining and needs regular 4- 6 weeks full grooming and daily brushing. I groom all my dogs. 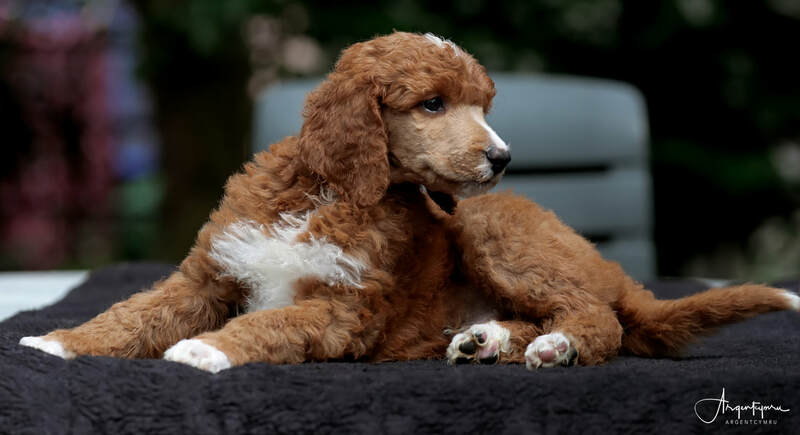 Their coats vary in texture and some are easier than others...but all have to be cared for and if you cannot learn to do basic grooming yourself, then be prepared to take a trip to the groomers every 4- 6 weeks which can be a costly business. Most, if not all, of our standards are cut short. This is merely down to practical considerations and the way in which we exercise our dogs. 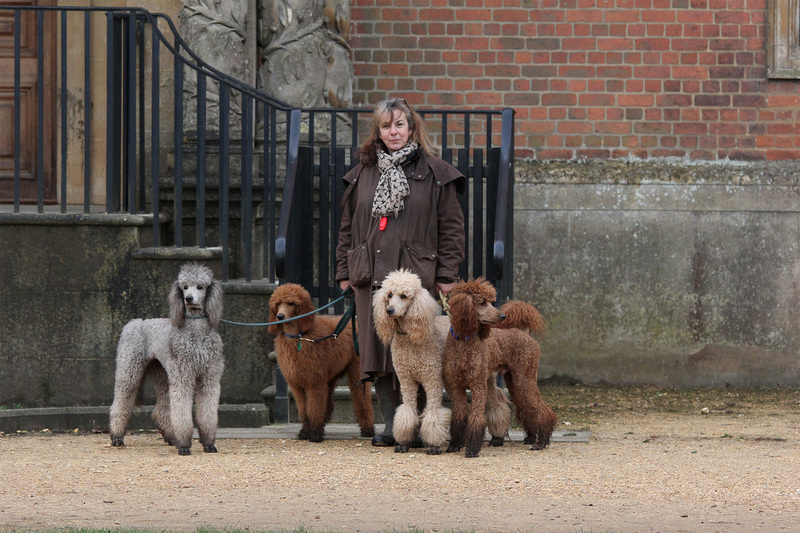 However, I do admire the poodles in their long coats. 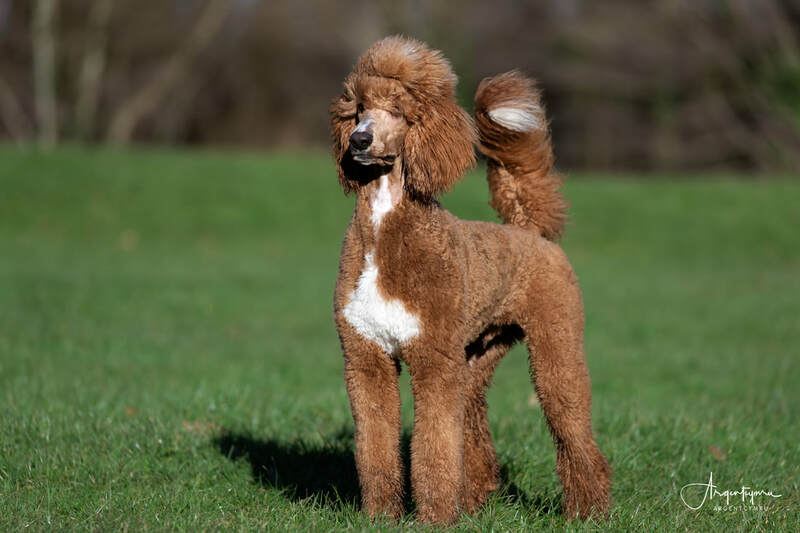 Alot of people have a misconception regarding a poodle because of the "show coat" often thinking of them as "ponsie" dogs...oh, please do not let the coat fool you. 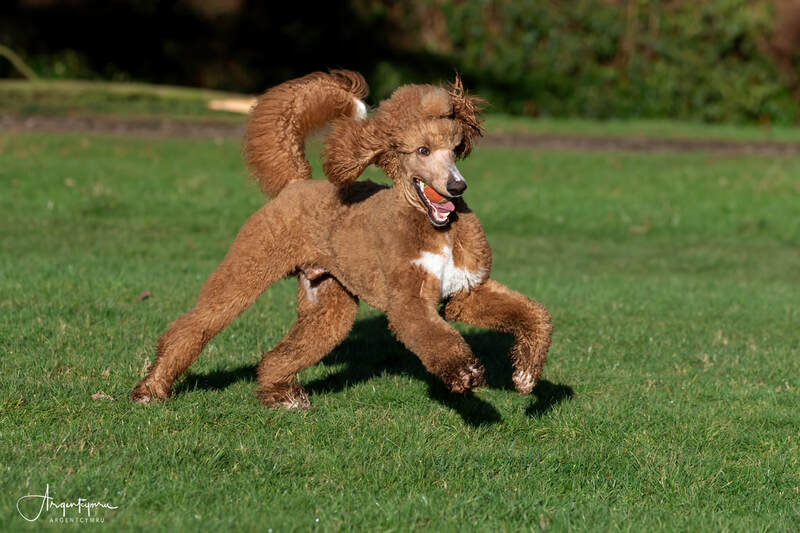 A standard poodle is everything and more you can expect from a four legged companion, excelling in obedience, agility, working and best of all a loving loyal friend...a friend for life. We do not re-home our dogs after breeding. First and foremost our dogs are our beloved family companions.  I have a Facebook page, Argentcymru Have Standards, that gives upto date information, help and advise to all new puppy owners, this page has been up and running for the past few years , so an invaluable page and community to be a part of.